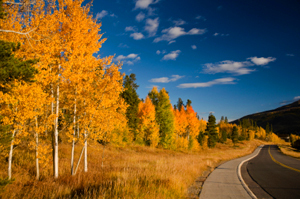 Fall is just around the corner and there are a lot of ways to celebrate this gorgeous season in Summit County. So check out the many different events you can explore throughout the month of September. I promise that you won’t be disappointed! Get to know the personal lives of some of the most famous composers while enjoying great food and drink at the National Repertory Orchestra’s “Musicology and Mixology” special event. (You might be surprised at what you’ll learn about these musical geniuses!) It’s a one-of-a-kind production on September 7th from 6pm to 9pm. Reserve your seat at the Allaire Timbers Inn in Breckenridge now! If you’re in the mood to participate in a team sport and get a lot of exercise in the process, look no further than this event. Choose from volleyball, basketball or even pickle ball! Join the fun for free on September 8th from 6pm to 9pm with a valid Silverthorne Recreation Center pass. Or you can just pay daily admission for this evening of great competition. From September 13th through the 15th, you’re invited to experience Breckenridge’s 18th annual Oktoberfest celebration. It’s a street party like no other with German food, polka music, Bavarian dancers, a keg-tapping ceremony and even a 5k run! More than two dozen food and beverage vendors will also be on hand. So don’t miss out on the fun! Through September 22nd, you’re in for a hilarious treat. The Lake Dillon Theatre Company presents its production of “The Owl and the Pussycat” for your enjoyment. This play was a Broadway hit and a film sensation. Now you can see it in Dillon! But please be advised that there are adult themes. So it is not recommended for all audiences. Have you ever wondered about Breckenridge’s saloon history? Now you can find out everything you’ve always wanted to know and then some! On September 28th at 5:00pm, you’ll get a guided saloon tour and taste spirits from the Breckenridge Distillery. Reservations are required for this event. Want to Know More September Events? These are just some of the fantastic things you can do in Summit County all through September. If you’d like more suggestions, I’d be happy to tell you about other activities you may enjoy. I may also be able to answer some of your real estate concerns with my Kelli Sells Blog. So if you have a moment, check it out. I update it frequently to make sure you’re always aware of market news and trends in Summit County.